A Flash of Insight appears as the first story in the new book, Battlespace, Volume One, Military Science Fiction Anthology. A Flash of Insight is the story of an ace star pilot, Jason Blackwater, at the lowest point in his career. During an interstellar war technology catches up with, and surpasses, human reflexes and split-second decision-making abilities in the heat of combat. 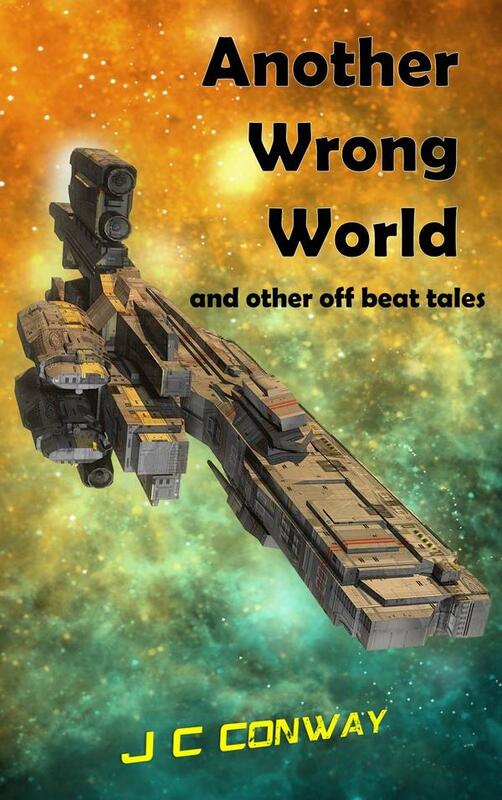 Jason, the best pilot in the fleet, is retrained for a position that best utilizes his skills and experience: he is now the sole human crew member and monitor of mundane support systems servicing his super-intelligent ship so the ship may focus all of its resources on the task of flying a combat mission. In A Flash of Insight, Jason is depressed and disillusioned, and as he struggles to fulfill his supporting role, we relive with Jason the events that led to his new and unsatisfactory assignment, starting with his last “real” mission as a star pilot, the flash that ended that career, his retraining and lonely dedication, despite it all, to help end the war that keeps most of humanity separated from Earth. Jason wonders where it will all end and if there is any hope of regaining a semblance of his former glory. The sudden events that then ensue answer Jason’s question. 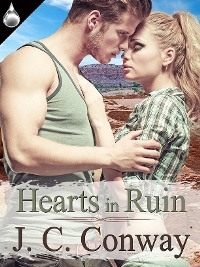 I developed this story over time, starting with the character and his situation. The outcome has changed several times, none being as satisfactory as the ending in the final version, which strikes at the core of Jason’s personality and reveals a great deal about the people involved with both sides of the conflict driving Jason’s war. The flashback scenes were added reluctantly. A flashback is a difficult element to incorporate properly into a short story—it takes the reader out of the story present, it confuses the timeline, it is a red flag (I am told) to some editors, decreasing the chance of acceptance for publication, and in most cases a flashback is unnecessary and indicates instead that a story starts in the wrong place or backstory is not being properly established. But no beginning works for this story other than Jason alone on this mission already in the predicament he detests. His isolation invites the flashbacks and also creates a story present that is simple to follow. And the flashbacks follow his internal arc. So although flashbacks don’t work in many stories, I ultimately decided that in A Flash of Insight they fit and are essential—a conclusion that contributed to the title of the story. Overall, A Flash of Insight was an engaging story to develop. I never had a particular market in mind for it, but didn’t really care. The story drove itself. 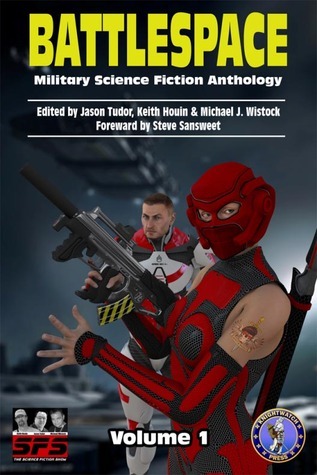 So I was delighted when I learned The Science Fiction Show was taking submissions for a military science fiction anthology to raise money for a worthy cause benefiting injured soldiers. It felt like a perfect match. I polished the story, inadvertently submitted it a day late with an apology and a plea. The editors kindly permitted the tardy submission and the piece became a part of Battlespace. 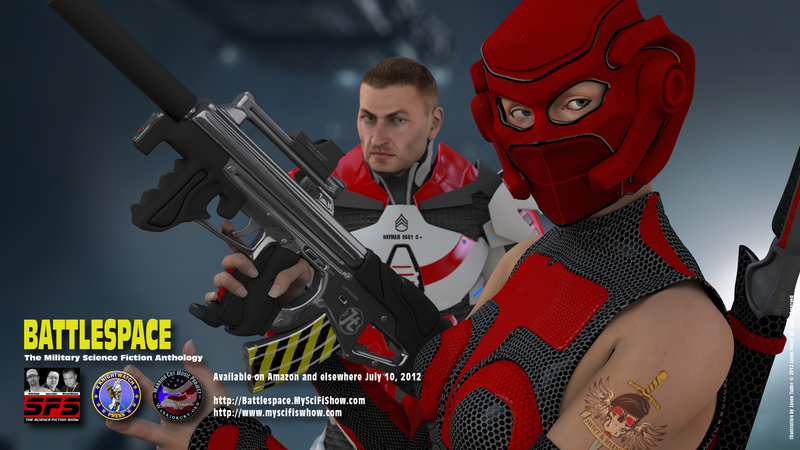 Battlespace was officially released on July 10, 2012, and available now online for $10.99, or as a Kindle book for $3.99, published by The Science Fiction Show and Knightwatch Press and edited by Jason Tudor, Keith Houin and Michael Wistock. 100% of the proceeds of the anthology go to the Warrior Cry Music Project, a non-profit organization helping wounded soldiers in Washington, D.C. Twenty-eight authors contributed stories to the work, and I’m proud to be a part of the effort. This entry was posted in Publication, Science Fiction, Veterans, Writing. Bookmark the permalink.